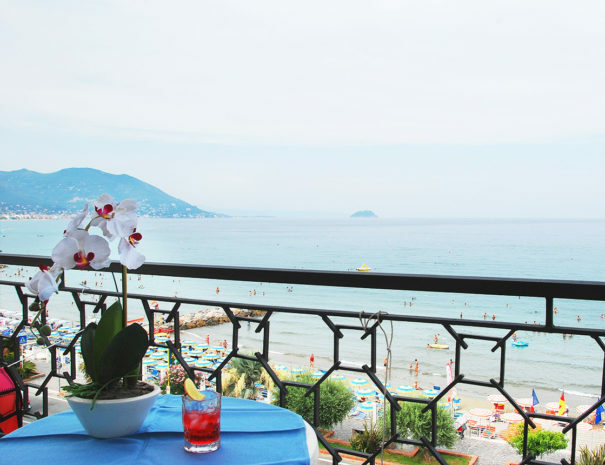 Hotel Aquilia Laigueglia 3 stars is located in one of the most beautiful sea village in Italy. It has an evocative old part between the hills and the sea. It is close to the beach, which is characterised by fine sand. To reach the waterfront, you just need to cross the street. The frame is Baia del Sole with its typical sea landscape. The hotel has 32 rooms, 16 of these are double rooms (8 triple and 8 quadruple rooms). Twenty rooms have their own balcony. The beautiful location allows our guests to choose between sea or hill view. You will be able to find the best option for the kind of relax you are in search for. All the rooms of the hotel are furnished to reflect the harmony of the surrounding territory, but they are also comfortable and cosy. The linear and tasteful furniture matches with the choice of using natural materials and light and relaxing colours that make our guests feel comfortable. The aim is to create a deeply empathetic relationship with both sea and hills from the beginning. 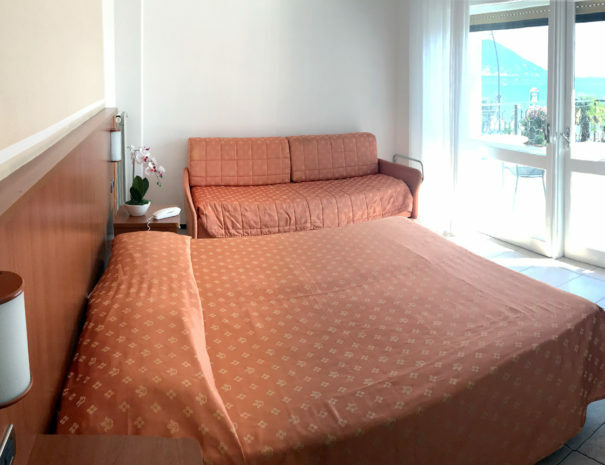 Hotel Aquilia Laigueglia’s rooms are daily cleaned and equipped with every comfort a guest usually expects from a 3three-star hotel with a sea view in Laigueglia. 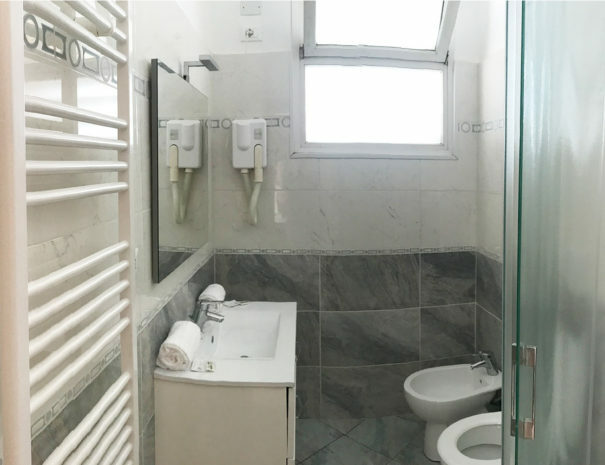 They have their own private bathroom provided with 80x120 cm shower stall, hairdryer, complimentary toiletries, air conditioning, safe, LCD TV and WI-FI.